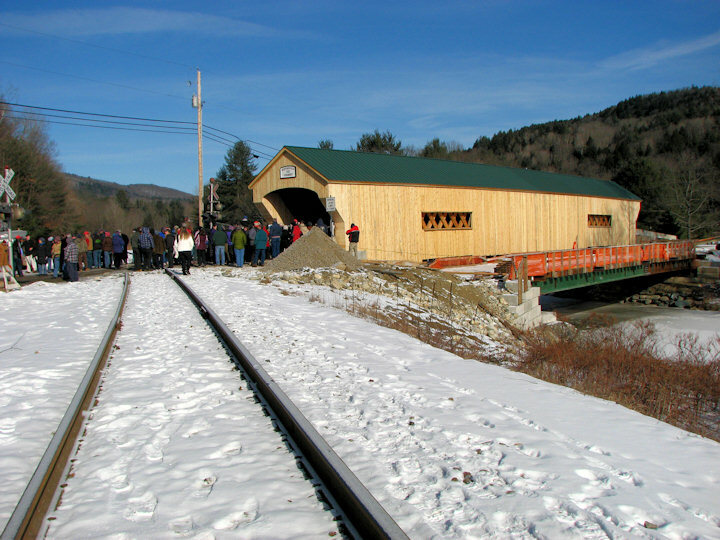 Rockingham, VT, January 26, 2013 - Considering what weather could be like in January, it was a beautiful day for the ceremony. Sunny, calm and an invigorating 13 degrees. As Ray mentioned*, there were about 200 people in attendance. Gov. 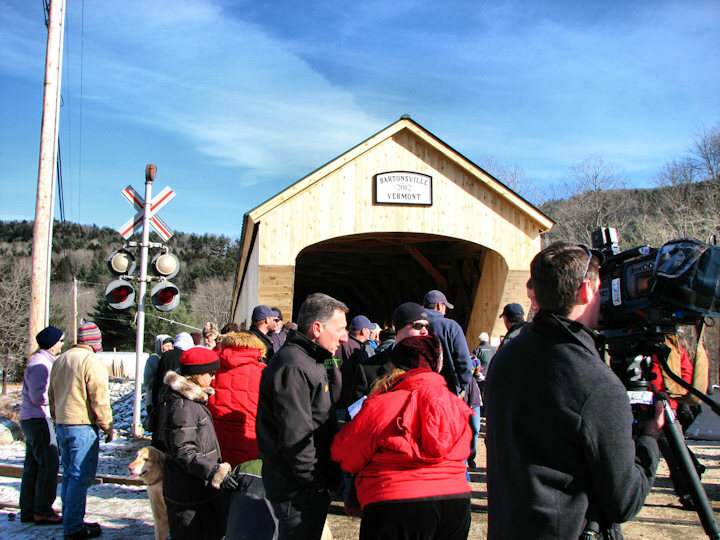 Shumlin and Rep. Welch both noted this event as a fine example of how Vermonters pull together during times of tragedy to do what needs to be done. 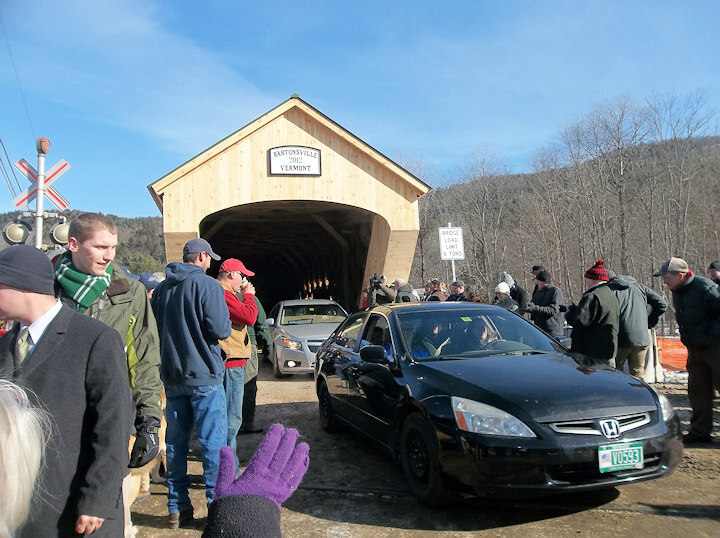 The large number of vehicles parked along Lower Bartonsville Road bearing "Vermont Strong" license plates was evidence that the attendees shared their way of thinking. After the speeches thanking everyone for their roles in getting the new bridge funded and constructed, they cut the ribbon. The crowd walked through the bridge checking out the new construction. After we all had our chance to look it over, it was opened to traffic with Susan Hammond being the first person to drive through. I was impressed that Gov. 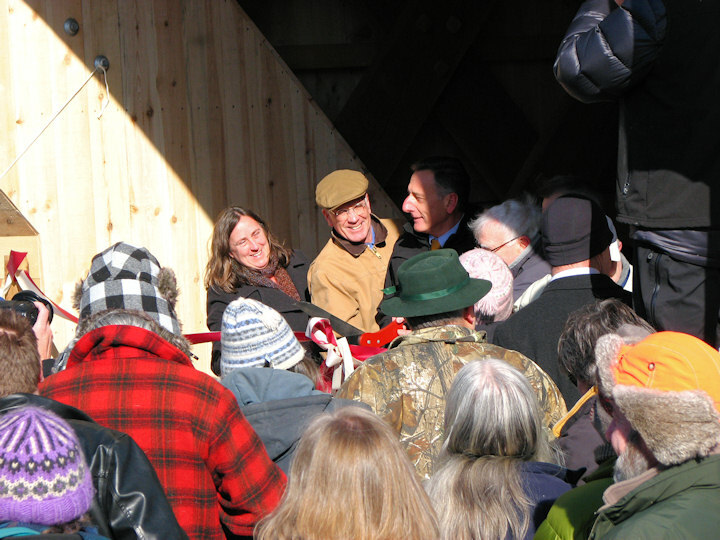 Shumlin stayed long after the ceremony ended talking to everyone who wanted to visit with him. 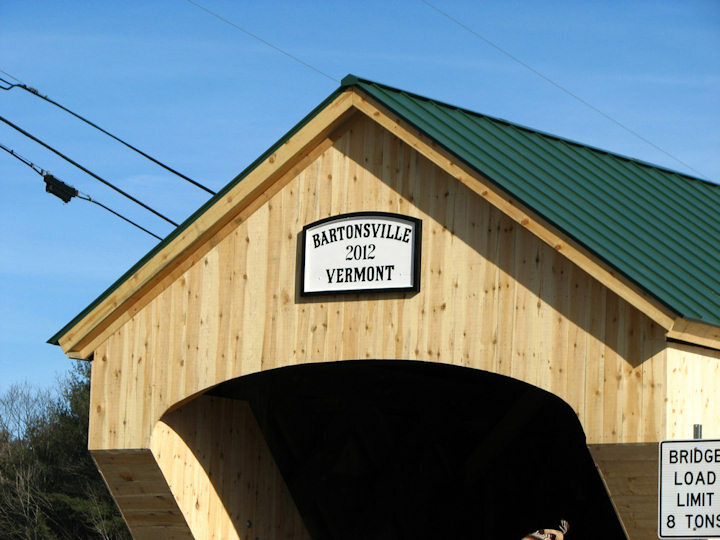 * see Bartonsville Covered Bridge Opening Ceremony for a photo story of the rebuilding. Sunny, calm and an invigorating 13 degrees. 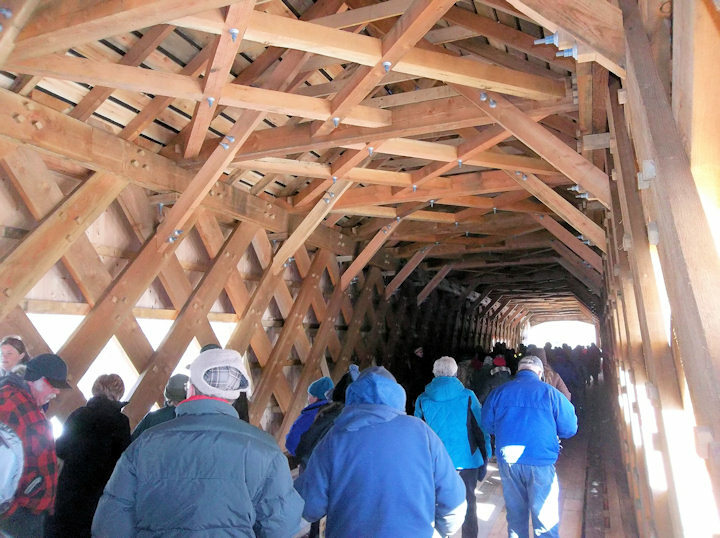 The crowd walked through the bridge checking out the new construction. 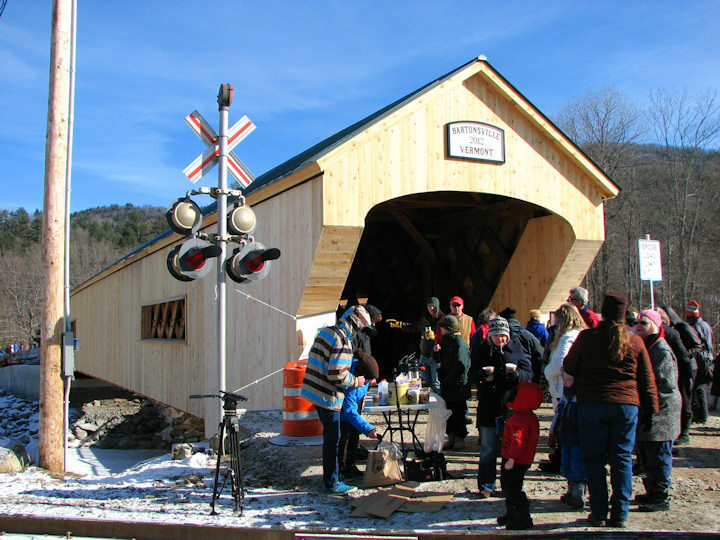 The bridge was opened to traffic with Susan Hammond being the first person to drive through. 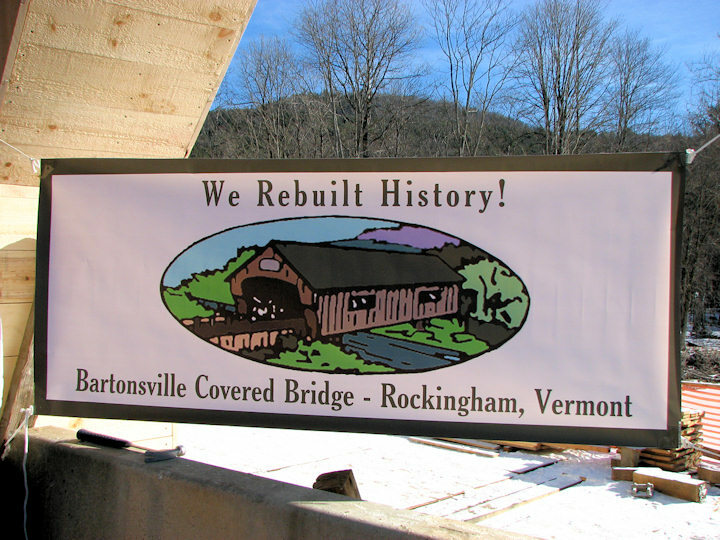 Rockingham, Vermont - We rebuilt history!